Choosing Between Saturn SD365 and the Sea Eagle 12.6 Inflatable Boats. 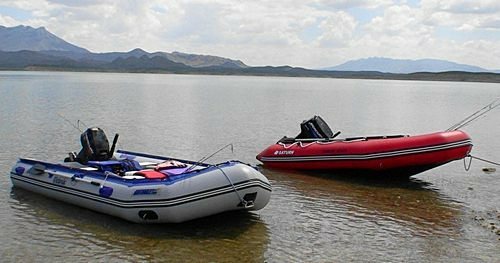 HomeBoatsToGo - Blog About Inflatable Boats, Inflatable Rafts, Inflatable Kayaks And More...Choosing Between Saturn SD365 and the Sea Eagle 12.6 Inflatable Boats. About six months ago, I was in the market for a new inflatable boat. I wanted something I could use for a day out fishing on the lake with my friends, but also something I could bring the family out on for water sports and relaxation. I already had a Sea Eagle 12.6 Sport, which I very much enjoyed. But I wanted a second watercraft, and I had always heard great things about Saturn inflatable boats. What I really wanted was another midsize boat. And when I started looking through the options Saturn provided, I ended up focused on the 12' SD365 Saturn Inflatable. This watercraft is in the same class as my Sea Eagle 12.6 SR Sport, and has many similarities. I ended up buying the Saturn, and after owning it for the last 6 months, I have also noticed some major differences. Here are a few of them. The Price Comparison of Saturn and Sea Eagle inflatable boats. Though it was not necessarily the focus of my comparison, there is no way to ignore price when you are buying any type of product. So that’s where I will begin. Out of all the areas I will compare, price was probably the thing that was the most one-sided. For the total package of everything you need for a day out on the water, the Saturn SD365 ran a very affordable $1,050. The Sea Eagle 12.6 SR Sport, on the other hand, cost about $2,100. Now, I definitely think $2,100 is a very fair price for a boat of this caliber, and have never regretted my Sea Eagle purchase. But who wouldn’t love to save over $1,000. When it comes to price, Saturn seems to be the way to go, hands down. Performance on the Water of both Saturn and Sea Eagle inflatable boats. In all honesty, both of these great boats are a lot of fun to drive. They also both offer many useful features for fisherman, scuba divers, and families. In a lot of ways, the Saturn SD365 and the Sea Eagle 12.6 SR Sport perform about the same. One major difference lies in the shape of the keel. While the Sea Eagle has a standard flat keel, the Saturn has been designed with a modern v-shaped keel that acts to minimize the contact surface area between the hull and the water. From my experience, this v-shaped keel results in a much smoother ride. Everyday Convenience of inflatable dinghy. First off, inflatable boats are in general much more convenient than their hard hull fiberglass counterparts. They are much easier to move from location to location because you can quickly inflate and deflate them. You can also store them in small spaces as opposed to spending money to dock them or having them take up a lot of space on your property. But there is still one major difference between the Saturn SD365 and the Sea Eagle 12.6 SR Sport. Basically, the Sea Eagle has a molded, hard floor that must be inserted into the bottom of the boat, while Saturn has designed their floor to be just as strong, but completely inflatable. This means that after using your Saturn boat, you can just deflate it, roll it up, and store it in a bag. But with the Sea Eagle, you have to carry the difficult-to-assemble boat floor in a separate box. This may not sound like a huge deal, but all I know is that when I have to decide which boat to load in my truck for a day out on the water, I usually end up choosing the Saturn. When all is said and done, I think both the 12’ SD365 Saturn Inflatable Boat and the Sea Eagle 12.6 SR Sport would be great choices for anybody who is looking to purchase a boat. But as someone who owns both boats, I would honestly say that I think the Saturn provides the better value and experience.